I have this little motto I say all the time. Its to remind myself and those around me that you really can see the positive side of anything. It may only be a speck of it even in the worst cases but its there somewhere you just have to look. Of course I know its hard and I can get wrapped up in the negative but if I declare "P for Positive" it sets me in the right direction. I am sure it might annoy my husband when he is feeling down but I think if I am cheery it will spread to him! When I was buying Goldfish crackers for my son I looked on the package and saw the website. I thought I love these crackers when I get home I will look up the site. I was so surprised to see the "Fishful Thinking" campaign they have started. This is soooo my type of thing! You can see the site yourself here. I love that focuses on Optimism (my fav), Resilience, Hope, Empowerment and Emotional Awareness. The site is full of activities for kids and families to share. There is a book club, downloads, and one of my favorites the little Goldfish Guild to Raising Optimistic Kids. I think there is a lot for parents to learn there too. Since our kids mimic our out look and opinions I have found a few things I know I can improve on so he can see me modeling these behaviors. There is an idea there about creating an "AWE" wall . This to me is an awesome idea! It is a place in your house that put up pictures of things that are "AWE" inspiring. You can put up places, people, activities, inspiring quotes and more. It encourages little ones and our selves as parents to remember the awesomeness of this world we all share and to appreciate the beauty. 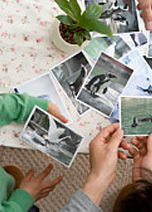 My plan for this week is to gather up pictures of things I will use to make our "AWE" wall. I am very excited for this project! 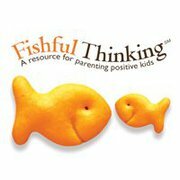 I hope you will join me in your home to celebrate Fishful Thinking and create an "AWE" wall. For more info and fun stuff you can be a fan of Fishful Thinking on Facebook. * I was not paid or compensated for this post. Just thought this was a cool idea and wanted to share! 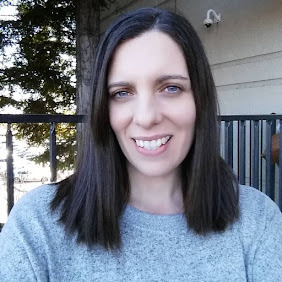 Thank-you so much for stopping by my blog. 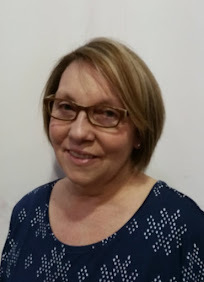 I am following your wonderful blog too.